Are squirrels boring? They are definitely common and simple little creatures. 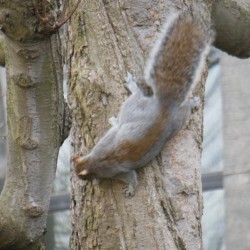 However, squirrels also have their fair share of strange habits and incredible history. Did you know all of these interesting facts about squirrels? World travelers! Squirrels call 5 continents their native home. Only Australia and Antarctica do not have native squirrel species. Ancient civilizations! 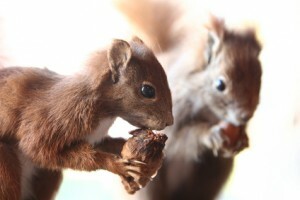 Squirrel fossils have been found from at least 35 million years ago. The earliest breeds were like the flying squirrels found today. Weird cousins! 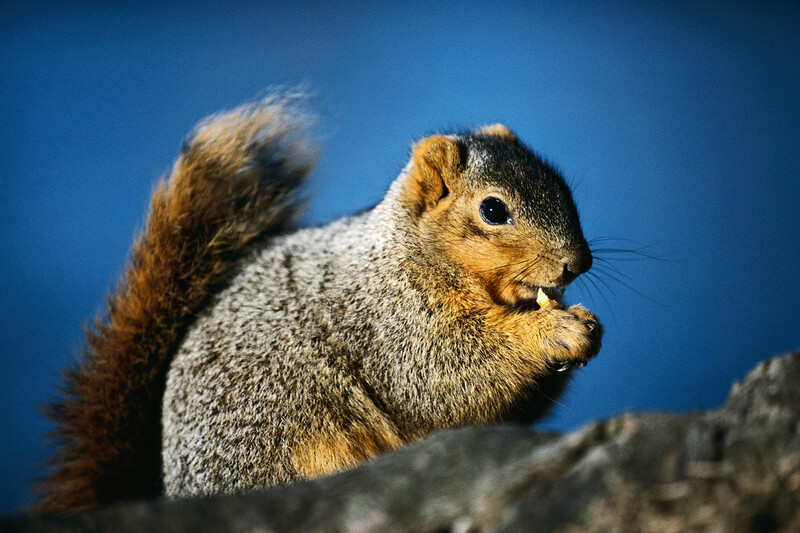 The greater squirrel family includes species that are smaller, larger, toothier, and wilder than gray squirrels. Groundhogs and marmots are close cousins. Long in the tooth! Ever notice how squirrels are always chewing? That’s partly because they must file down their incisors — which keep growing their entire lives. 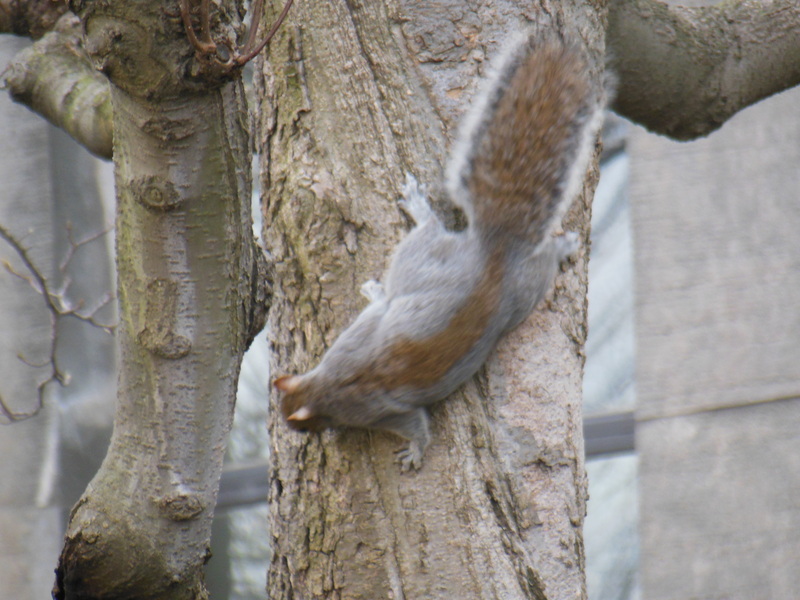 What goes down… Squirrels are physically incapable of vomiting. They must be careful to spit out whatever they cannot digest. Sweaty feet. Squirrels sweat through glands on their feet. Hence you may notice little squirrel paw prints on the sidewalk when it’s hot. So, now you’re a squirrel expert! You still might need help taking care of a squirrel infestation. We offer humane squirrel trapping and 24-hour emergency service. If squirrels take over your attic, you’ll appreciate fast, safe removal so you can get your peace of mind back! Make the call to Stern Environmental squirrel control services and get effective treatment and recommendations for protecting your property. Can Squirrels be Black or White? Squirrels can be entertaining to watch as they scamper from tree to tree, chasing, playing, and having an all out good time. Depending on where you live, many people are only familiar with the grey and red variations of the Eastern Grey and Eastern Fox squirrel that live in abundance in backyard environments, parks, and forests throughout eastern and southeastern U.S. There are also two other squirrels on the color spectrum; black and white. Both are interesting in their own way. Information about where black squirrels originated is limited but one of the conclusions is they were introduced to specific regions making them more “regional-based” versus other species of squirrels. Black squirrels tend to be primarily black but may have white-tipped ears and tail, and a white face. Solid white or albino squirrels are rare. The lack of colors that blend with the environment is considered to be a genetic anomaly that unfortunately puts them in danger. The stark white color makes them easily seen by predators.White squirrel populations exist in Canada, and in the U.S. in Missouri, Illinois, North Carolina and Tennessee. Regardless of a squirrel’s color, like any wild critter, squirrels can cause extensive damage to your home if they decide to set up residence in your attic. Whenever you have squirrels that need to be removed, contact Stern Environmental Group for professional assistance.